Researchers found that tea drinkers who liked their beverage to be warmer than 60 degrees Celsius (140 degrees Fahrenheit) and consumed more than 700 ml of tea per day -- about two large cups -- had a 90% higher risk of esophageal cancer, when compared to those who drank less tea and at cooler temperatures. "Many people enjoy drinking tea, coffee, or other hot beverages. 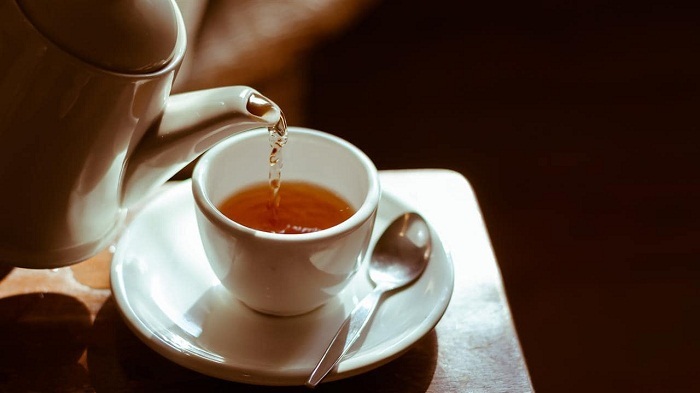 However, according to our report, drinking very hot tea can increase the risk of esophageal cancer, and it is therefore advisable to wait until hot beverages cool down before drinking," said Dr. Farhad Islami, of the American Cancer Society and the study's lead author. Esophageal cancer is the eighth most common cancer in the world and is often fatal, killing approximately 400,000 people every year, according to the International Agency for Research on Cancer. It is usually caused by repeated injury to the esophagus due to smoke, alcohol, acid reflux and -- maybe -- hot liquids. "In fact, it is probably anything hot: Microwaved jam has been known to cause esophageal injury. It is possible that the trauma leads to cell changes and hence to cancer," he told the Science Media Centre. Evans was not involved in the study. In the United States and Europe, tea is rarely consumed at temperatures above 65 degrees Celsius (149 degrees Fahrenheit) -- but in places like Russia, Iran, Turkey and South America, it is common to drink tea that hot or even hotter. "If you go to the Middle East or to Russia, they drink it out of a samovar that's constantly under heat," said Peter Goggi, president of the Tea Association of the USA told CNN last year. "It's very, very hot." "It doesn't take a scientist to appreciate that repeated irritation of any body surface increases your risk of cancer. Sunburn gives us skin cancer, smoking gives us lung cancer, and many foods and drinks contribute to risk of gastrointestinal cancers," Doidge, who wasn't involved in the research, told the Science Media Centre.